Are you planning to get yourself into one of the world's best universities/colleges for your undergraduate or graduate studies in civil engineering? 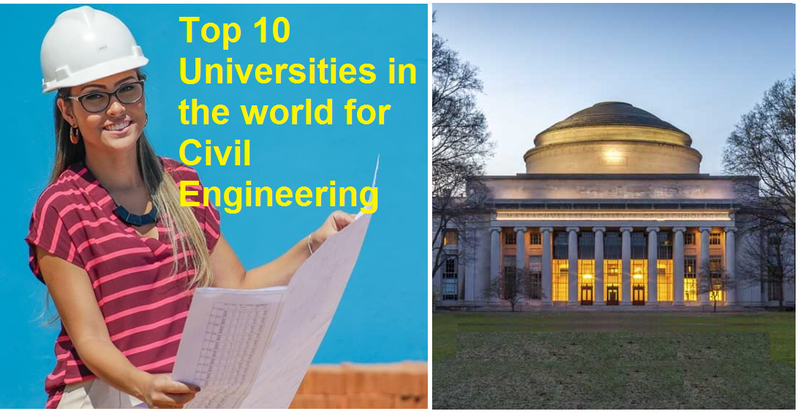 The below given is the list of world's top universities for civil engineering where you can pursue your Bachelor or Masters Degree. MIT is a large, private university located in Cambridge. On top of having the best civil engineering program. MIT’s outstanding 3-to-1 student-to-faculty ratio makes it easy for future engineers to work closely with the college’s experienced faculty. Delft University of Technology (Technische Universiteit Delft in dutch) is the largest and oldest Dutch public technical university, located in Delft, Netherlands, also known as TU Delft. It hosts over 16,000 students, and is known for its high standard of research and education.